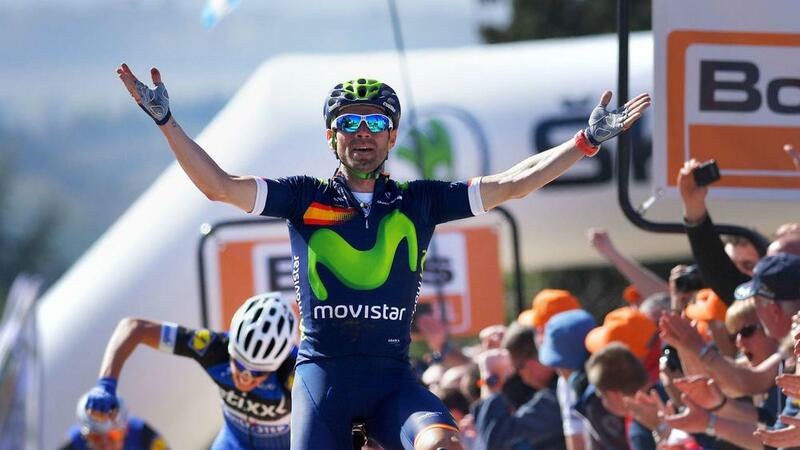 Alejandro Valverde hopes to mark his first appearance at the Giro d'Italia with a podium finish for Movistar. The Spaniard has generally focused on the Tour de France and Vuelta a Espana during his illustrious career, winning the latter in 2009 and claiming a career-best third at Le Tour last year. Valverde has started 2016 in fine form with victories in the Vuelta a Andalucia and Vuelta a Castilla y Leon, before sealing a record fourth Fleche Wallonne last month. His attentions have now turned to the Grand Tours, starting with the Giro, where he will lead Movistar over the 21 stages. "A good result for me? Stepping onto the podium and having won one or more stages," the 36-year-old told the team's official website. "We'll give our very best, as well as myself and the whole Movistar team to make them happy. I'm so glad to be racing the Giro for the first time. "It seems like it's gone well. We won Castilla y Leon, then we also won Fleche Wallonne, let's see what happens next." The Giro begins on Friday with an individual time trial in Apeldoorn in the Netherlands, before returning to Italy from stage four on May 10.